The fast, accurate and reliable process of laser cutting your tube parts has many benefits when it comes to production of parts and products. The cuts obtained by laser are more precise than can be done by any other method of cutting metals, ensuring that absolute exact sizes are met when required. This is important especially in cases where the efficient running of the equipment depends on exactly measured parts. If a part is not accurate or not smoothly cut, it could risk the malfunctioning of equipment – the repair and maintenance of which could increase operating expenses. When it comes to tube cutting, the capability to produce complex, accurate features in one machine helps reduce secondary operations and allows for precision fit of weldments and assembled components. Specialised laser cutting systems perform high-speed cutting without additional requirement for hard tools, which helps reduce an investment in equipment that won’t be required in the future. 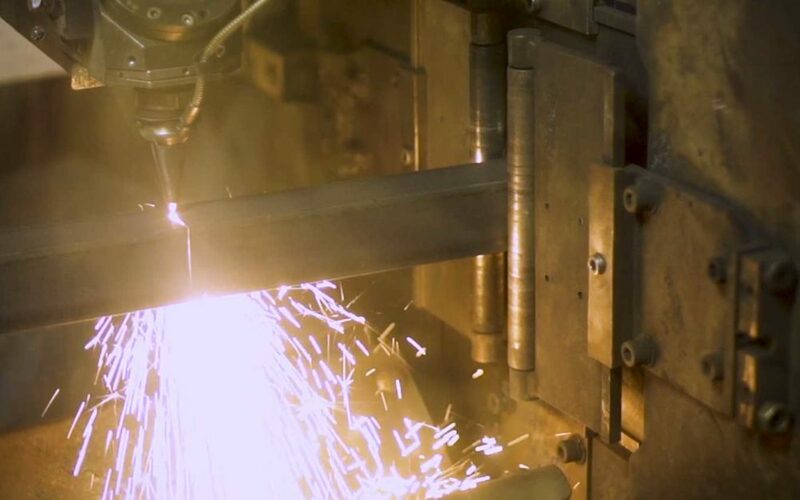 Laser Central’s unique laser tube-cutting machines can produce extremely accurate, and complex laser cut geometry on round, square, rectangular, and oval tubular materials. Our tube laser cutting systems offer the flexibility and freedom to create innovative new tubular product designs by allowing the designer to specify complex end forms and hole geometry that cannot be created in a cost effective manner with any other process.